Jal Seva Charitable Foundation (JSCF) is registered in India as a not for profit company under Chapter Section 25 of the Companies Act, 1956. JSCF is an associate member of WaterAid International and used the brand name ‘WaterAid’ in India. WaterAid‘s mission is to transform the lives of the poorest and most marginalised people by improving access to safe water, sanitation and hygiene. WaterAid India’s goal is to “Make Water Sanitation and Hygiene (WASH) poverty history in the country”. WaterAid began working in India in 1986. WaterAid India (WAI) focuses on the poorer states in the country to better target India's most vulnerable communities. The head office is in the nation’s capital, New Delhi. WaterAid India also has Regional Programme Offices in Bhopal, Bhubaneswar, Hyderabad and Lucknow. We currently work in 11 states in the country. WAI’s Programme focus in the next five years is on promoting and securing rights and access to safe water, improved hygiene and sanitation for the poor in particular through direct services and millions more through our influencing work. 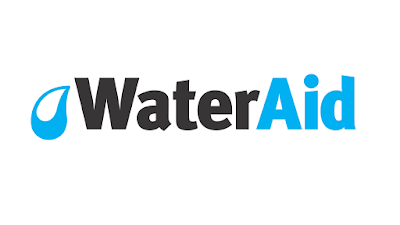 WaterAid India is seeking to identify a dynamic individual who will play important roles in the policy research and advocacy support initiatives by WaterAid India on water, sanitation, hygiene and allied sector policies. This person will lead or support, as required, various research, knowledge dissemination and uptake initiatives, including regular support on various policy and advocacy action, by WaterAid India. Ability to multi-task and to work within a multi-disciplinary team environment and a complex organisational structure. To apply please download the attached application form. Kindly note that ONLY applications submitted on WaterAid's standard application form will be considered. Please mention position and location in the subject line “Coordinator- Policy Research and Advocacy support”. Only Shortlisted candidates will be intimated of the interview. WaterAid is an equal opportunity employer; women and the differently abled are particularly encouraged to apply.